Located at the crossroads of three continents, Cyprus is the third-largest Mediterranean island with a perfect mix of Eastern and Western cultures. The strategic location of our island means it attracts significant international business as well as thousands of tourists from around the world each year. Cyprus is 7 hours ahead of New York City and 6 hours behind Tokyo. Cyprus has two international airports and two sea ports with industrial capacity. Modern highways connect all the major towns and cities: Nicosia, the capital, is in the centre of the island; whereas Larnaca, Limassol and Pafos stretch east to west along the southern coast. Cyprus enjoys the most sunshine in Europe, with over 340 days of sun annually. The island is renowned for its sandy beaches and clear blue waters, as well as an idyllic mountainous region, making it the perfect place to spend those glorious summers and mild winters. It’s no surprise that Cyprus welcomes approximately 2.5 million tourists each year. Whilst Greek is the national language, English is widely spoken and there are a number of established international communities. Cyprus adopted the Euro as its national currency in 2008. The southernmost tip of the island is home to its second largest city, Limassol. It is approximately one hour’s drive from Nicosia and 30 minutes’ drive from each of the island’s international airports. The port of Limassol is one of the busiest ports in the Mediterranean and the city features two large private yacht marinas. Limassol was built between two ancient cities, Amathus and Kourion, and during Byzantine rule it was known as Neapolis (“New City”). 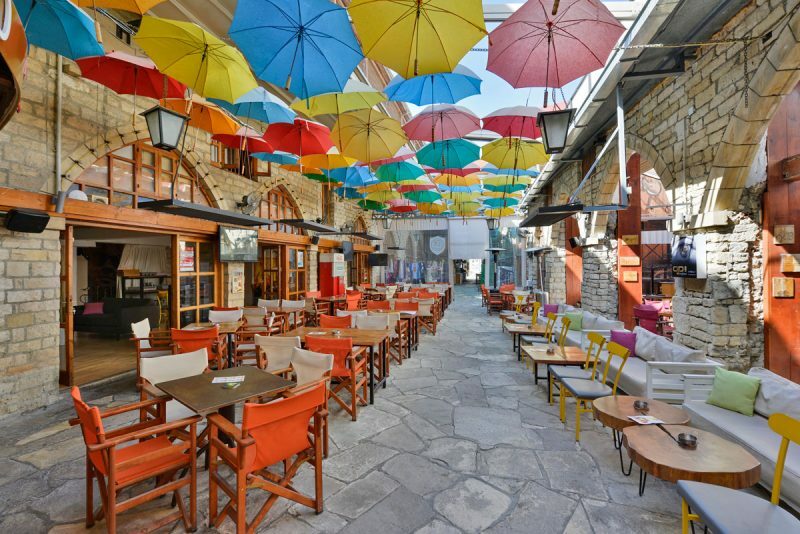 Its historic centre is located around the medieval Limassol Castle and the Old Port. Today the city spreads along the Mediterranean coastline over a length of 30km. 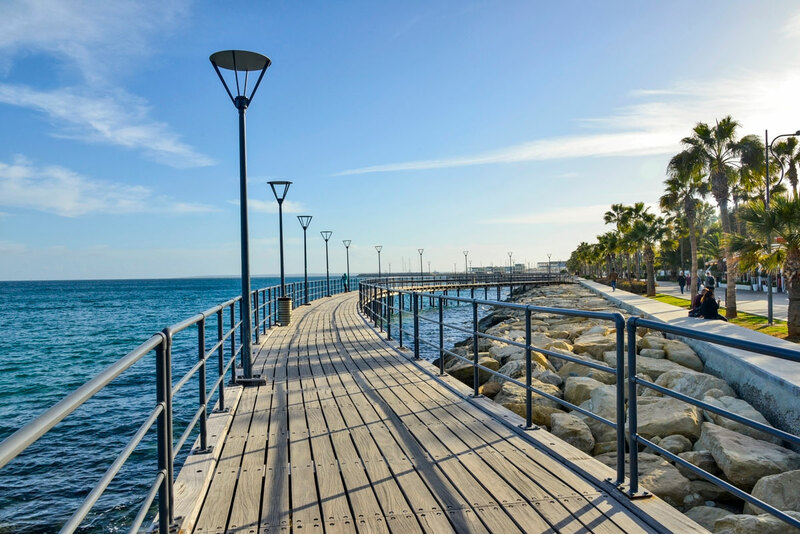 Limassol features in many publications listing cities with the highest quality of living. It was placed 3rd in TripAdvisor’s Travelers Choice Destinations in 2014 and it is systematically ranked in the Top 100 Cities on Mercer’s annual surveys for Quality of Living. Limassol is a flourishing business hub. Thanks to its established business infrastructure, low tax rates, and progressive workforce, the city attracts international firms from a range of industries. Miles of stunning sunny coastlines paved with large green parks and pedestrian walkways, as well as a wide array of cultural events, summits and festivals, will ensure a diverse and vibrant lifestyle with plenty of activities to occupy your time. The structure of the Cypriot government is democratic, with human rights and private properties safeguarded by law. The Head of State is the President, who is elected every five years. A member of the European Union since 2004 and the Eurozone since 2008, Cyprus is one of the most advanced economies of the Southern Europe/MENA region. Over the last few decades, Cyprus has developed into an important hub for telecom, shipping, law, and financial services. After more than three decades of unbroken growth, the Cypriot economy contracted after 2009. This reflected the exposure of Cyprus to the global recession and the European sovereign debt crisis. From 2016, the Cyprus economy has returned to strong growth. In recent years, Cyprus has also gained attention in the oil & gas industry, with gas fields located off the island’s southern coast. A joint venture by Noble and Delek discovered important resources and the oil majors ExxonMobil, Qatar Petroleum, Total, ENI and Kogas have all won important exploration contracts for Cyprus fields. Limassol provides an extensive choice of exceptional international private schools, from pre-school through High School. The majority of international schools in Cyprus use English as the language of instruction, although Russian, French, and Greek are also frequently spoken and incorporated into schools’ curricula. The Heritage School is set within an impressive background on the way to Troodos. Foley’s School has constructed a new state of the art school in the Agios Athanasios district where Hara Zoe Villas and Panorea hill are conveniently located. These two schools are amongst the top schools on the island. Private schools are certified by the Cypriot Ministry of Education & Culture and follow the UK National Curriculum. International Schools are approved centers of the English exam board (Edexcel) and comply with universally recognized standard assessments, including Cambridge Checkpoints, International General Certificate of Secondary Education (IGCSEs) and Cambridge and Oxford Examinations (AS and A levels). Many Cypriot school graduates choose to continue their studies abroad, attending top Universities such as Oxford, Cambridge, the London School of Economics & Political Science (LSE), Imperial College London and the University of St. Andrews. Many independent institutions partake in well-known extracurricular activities such as The Duke of Edinburgh International Award, thus providing a diverse yet highly academic education throughout the duration of a child’s schooling. Top tier higher education is available in Cyprus, with many universities and courses to choose from. Student financial support schemes are offered subject to qualification criteria. This is organized directly with each university and comes in the form of scholarships, grants and bursaries. In recent years, several institutions, including the University of Cyprus, have undergone renovation, opening contemporary student housing and new, top-of-the-line learning facilities. The University of Cyprus and the Cyprus Institute of Technology have gained significant international status following very positive appraisals from publishers of university ratings. Cyprus universities also maintain strong international relations with numerous universities within the EU as well as the USA, providing attractive opportunities for students who wish to spend semesters abroad or transfer between schools. Visas can be obtained without difficulty for international students, contributing to a diverse multi-cultural learning environment.